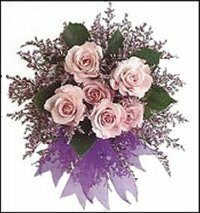 Rainbow Flowers is a premier, full-service florist proudly serving Windsor and the surrounding areas since 1980. Our highly-trained staff is ready to assist you with placing orders for local delivery or anywhere in the world. Not sure what to send? We'll gladly help you with creative suggestions. Whatever the occasion, let our talented design team create your eye-catching floral arrangements. Choose from several traditional and contemporary floral design styles that are perfect for any occasion…birthdays, get well, anniversaries or just because. Rainbow Flowers currently works with corporate clients such as Windsor Chrysler, Peerless-Cascade Plastics and T.J. Enterprises(Tim Hortons), servicing all their floral needs. 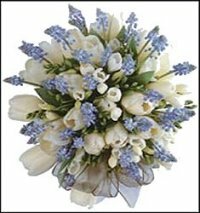 Wedding & Party Flowers ~ With Rainbow Flowers designing the bouquets and floral arrangements, your special day is sure to be a blooming success!! Call us in advance and make your appointment for a consultation with a designer or event coordinator. Our specialties include Wedding packages, Wedding rentals and Wedding gifts. Any Occasion Gifts ~ You’re sure to find the perfect gifts for all occasions at Rainbow Flowers! Browse our assortment of dish gardens and green and blooming plants for a gift that adds life to any room or office. We are stocked with an assortment of unique items, including antiques, baby gifts, home décor, scented candles, candy, chocolates, greeting cards, silk & dried flower arrangements and much more! Rainbow Flowers is conveniently located at 9520 Tecumseh Road and is open to serve your floral and gift giving needs: Monday through Friday 9:00 am to 5:00 pm and Saturday 9:00 am to 5:00 pm. For your convenience, we deliver to all area funeral homes and hospitals.